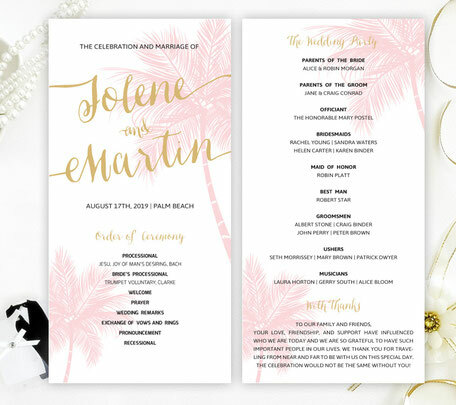 Whether you're wedding is by the ocean or out at sea, match the atmosphere with one of our Destination Wedding Programs. 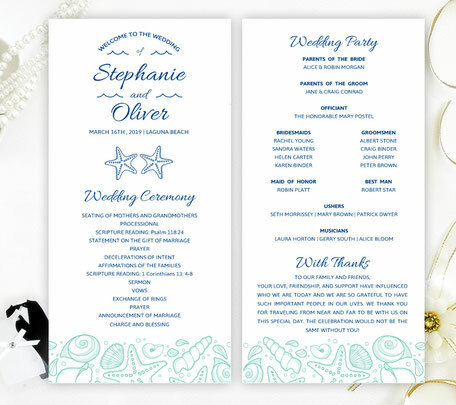 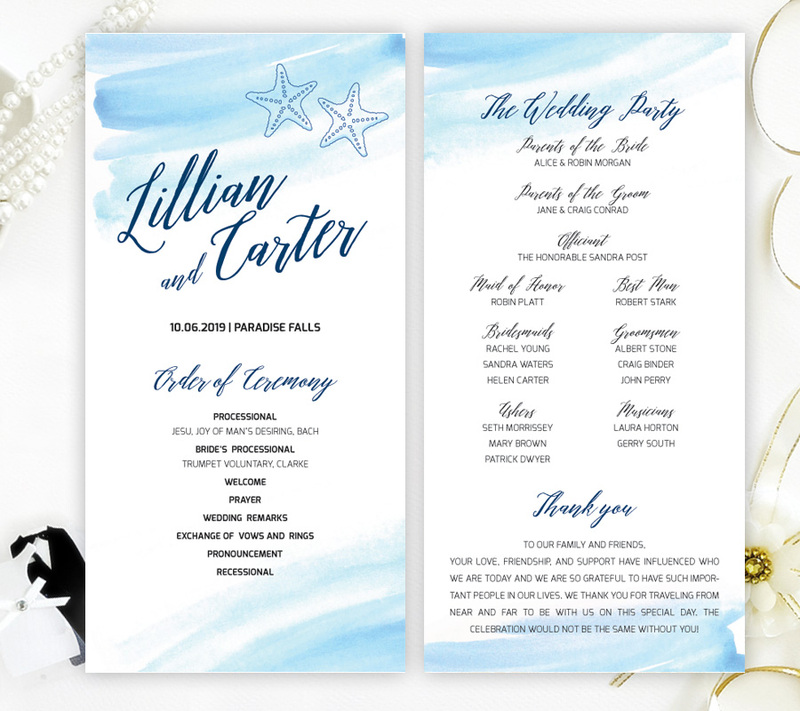 Our uniquely designed program cards include stunning artwork including blue starfish. 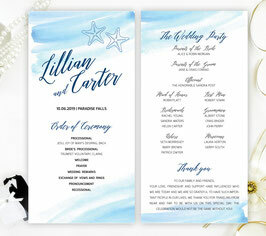 These destination programs are printed on premium card stock.